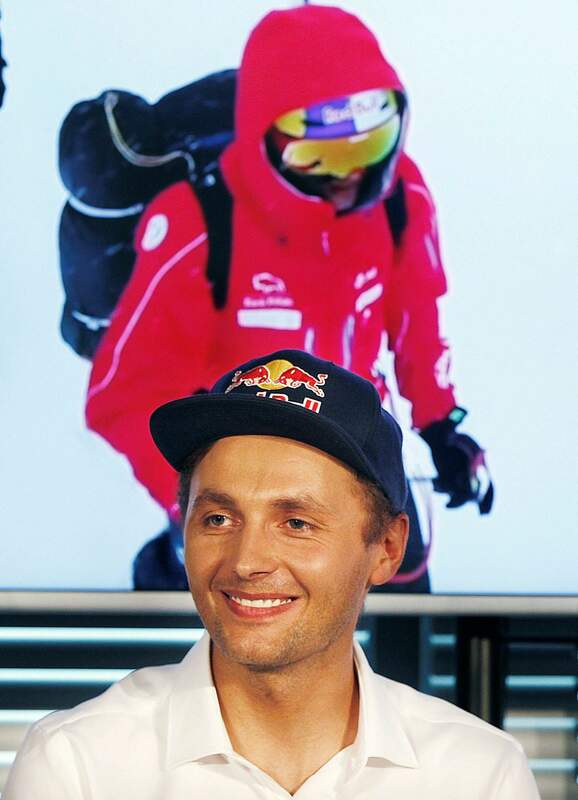 Poland’s daredevil Andrzej Bargiel attends a press conference Friday in Warsaw, Poland. At a news conference Friday in Warsaw, Bargiel showed video from his GoPro camera and from a drone of his July 22 daring descent on skis down the steep, narrow passages of K2, which rises 28,251 feet above sea level. The 30-year-old from Letownia, a village in southern Poland near the Tatra Mountains, says from 2013-15 he skied down three other peaks above 8,000 meters (26,247 feet): Shishapangma in China, Manaslu in Nepal and Broad Peak in the Karakoram.